What will Mueller’s team do when they accidentally run across information that links Clinton to Russia? Just trash it or dump Clorox on it? This is their last ditch attempt to remove Trump peacefully. The anti-Trumpers in conjunction with the media are openly mocking us with the Russia collision BS and the obvious omission of their crimes. Calling it a swamp is just way too generous, it’s more like the DC mafia! TGP: This week, the world learned Special Counsel Robert Mueller’s investigation into Russian interference in the 2016 presidential election has expanded far beyond its initial scope. Reports surfaced of a pre-dawn FBI raid of former Trump campaign chairman Paul Manafort’s home, along with subpoenas issued to various banks. 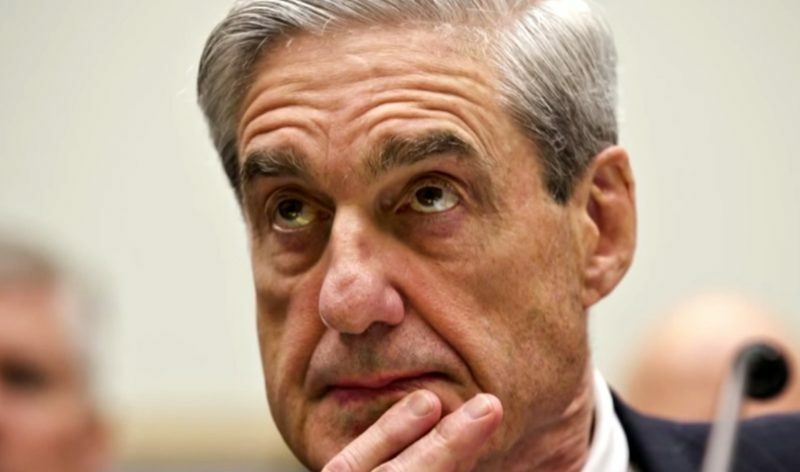 Daily Caller: Mueller, who is investigating Russian election interference and possible ties between the Kremlin and the Trump campaign, has come under intense criticism from allies of President Donald Trump for hiring attorneys who have donated to Democratic candidates and for his personal relationship with former FBI Director James Comey. Trump himself has called Mueller’s employment of Democratic donors “ridiculous,” yet he maintains that he has no plans to dismiss the special counsel. There’s no question in my mind that this raid on Manafort, which came out of the blue, is Mueller trying to flip someone if he hasn’t already flipped someone. Maybe he got someone underneath Manafort who flipped, and they got Manafort. They get Manafort, and Manafort’s gonna flip. It’s gonna go right up the chain. And they’re gonna get … a couple of them as cooperating witnesses.